Washington Redskins fans are mourning the death of the team's most famous supporter in the past four decades. Chief Zee, born Zema Williams, has died, the team confirmed Tuesday. Mourners gathered for a vigil Tuesday night at the team's headquarters in Ashburn, Virginia. They lit a candle, held a moment of silence and reminisced about the man who wore a faux Native American headdress in the Redskins' colors, carried a toy tomahawk and rarely missed a game. "We've lost a true institution here in Washington," fan Tommy Moorcones said at the vigil. Williams enjoyed celebrity status where ever he went and loved children, often handing them balloons, fans said. "I've never seen faces, from infants on up, light up as much as when Chief walked into a room," fan Christie Lopez said. Williams, a retired car salesman, died in his sleep at home in Prince George's County, sources told News4. He was 75, The Washington Post reported. Rest in peace, Zema Williams. 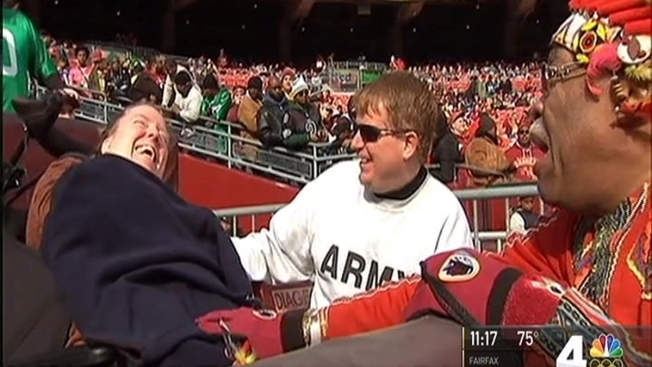 One of the greatest #Redskins fans of all time. You will be deeply missed. He began attending games dressed in a faux Native American outfit in 1978, starting with a Monday Night Football matchup with the Dallas Cowboys. His dedication to the team was recognized in 2000 in an exhibit in the Pro Football Hall of Fame. As the team's name came under scrutiny in recent years, so did Williams' costume. But die-hard fans remained loyal. When Williams was in danger of being evicted earlier this year, fans banded together to help him keep his home and raised more than $5,000 in five days. 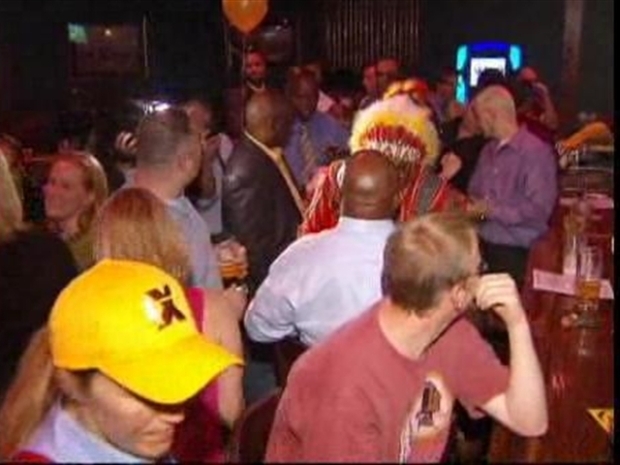 Chief Zee needs some help, and Redskins fans are there. No information on the cause of Williams' death was released. Williams is gone but his love for the team will live on, fans said. "This is devastating, but he'll be with us in spirit, that's for sure," Tamika Rector said.